Book by December 15th, 2018 - get a $1500 early booking discount. Select Departures Only. Prices online do not show the discounted rates. Terms and Conditions apply, special offer is subject to availability, please contact us for more details. Experience Cuban culture the most authentic way possible – through its people. On this unique Cuba Cruise & Land Safari, you’ll get acquainted with Cubans in their daily lives, from the colonial architectural haven of Trinidad, to the colorful, cultural city of Havana, and much more. Engage with people directly in discussions about their lives and work, culture and traditions. Meet with Cuban historians, artists, musicians and naturalists and experience this diverse island through their eyes. 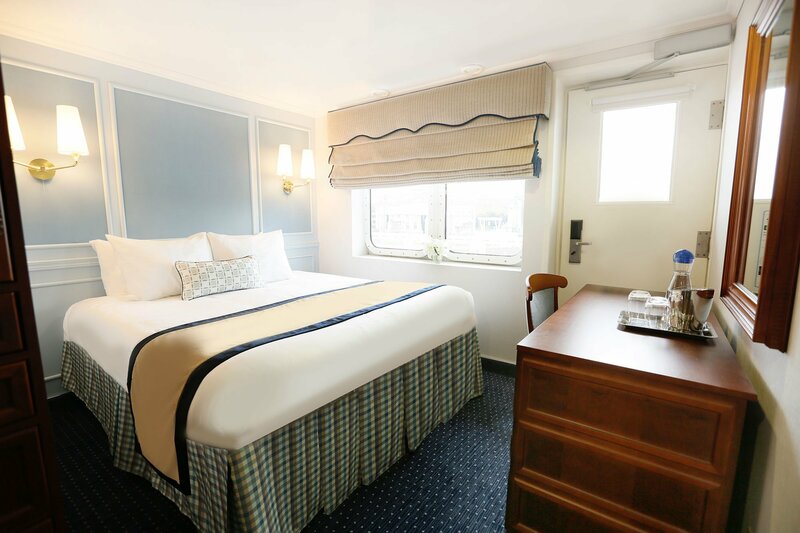 Welcome aboard our elegant ship and settle into your outside stateroom. Tonight, we'll gather with fellow passengers for cocktails and dinner. 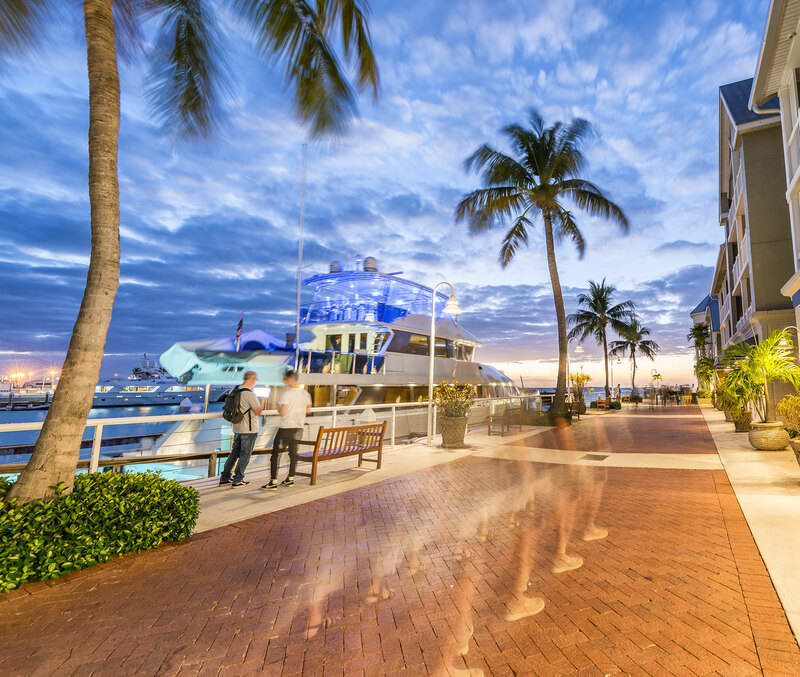 The southernmost point in the United States, Key West is famous for its beautiful beaches, vibrant street life and-of course-Ernest Hemingway! Enjoy a narrated Trolley Tour and free time to explore on your own. Duval Street is famous for its bars, cafes, and shops - a great place to stroll at your own pace. Hemingway enthusiasts may want to stop in Sloppy Joe's, one of the author's favorite hangouts. The Ernest Hemingway Home & Museum is located at 907 Whitehead Street in the heart of Old Town Key West; step back in time and discover the rooms and gardens that witnessed the most prolific 10-year period in Hemingway's writing career. Havana was founded in 1519 and within a hundred years it had emerged as one of the Caribbean's wealthiest ports and an important shipbuilding center. Although it's now a vibrant city with more than two million residents, its historical core still retains a wonderful mix of fine Neoclassical and Baroque architecture. Focusing today on the historic core of Old Havana, a UNESCO World Heritage Site, our guided tour takes us along the city's charming cobblestone streets and through its four main town squares - each with its own distinctive charm and fine Colonial-era landmarks. Beyond the streets of Old Havana, we'll drive along the waterfront Malecón, past the University of Havana and through Vedado - an upscale district where classic, mid-century Havana chic has been seemingly frozen in time. After lunch, we'll be treated to a private rehearsal by independent dance company MALPASO and have the opportunity to meet the dancers. We'll end our guided touring at the lively San Jose Craft Market; it's one of the best places in the city to shop for Cuban art and handicrafts and offers another chance to engage with local artisans and merchants. This evening after dinner, we'll experience a bit of Havana nightlife as it was in the 1950's! The city is rich with music history and no group is more famous than the Buena Vista Social Club. In the atmospheric Salón Rojo at the landmark Capri Hotel, we'll join the living legends of the Social Club for an unforgettable concert. This relaxing day is enriched by talks with our shipboard experts; delving into a wide variety of topics from politics and the arts to the continually evolving relationship between our two nations. Enjoy another delightful day of cruising as we sail toward Trinidad. Enriching talks with our shipboard Cuba experts continue along with wonderful meals and our Open Bar. After breakfast, we'll journey into the Valley de Los Ingenios, a UNESCO World Heritage Site that offers insight into the history of Cuba's sugar cane industry. At the San Isidro de Los Destiladeros Archaeological Site, dating back to the pre-industrial age, we'll see the original hacienda, a 3-story bell tower and slave quarters. Next, it is on to the Manaca Iznaga Sugar Cane Plantation is the focal point of the Sugar Mills Valley, founded in 1750 shows the history of the sugar cane production in the area and its relationship with slave trafficking in the region. We'll meet with the skilled artisans of the generations-old Santander Family Pottery Studio whose works adorn Trinidad's historic town square. Over lunch at a local paladar, we'll have a chance to engage with the owner and staff of this privately-owned restaurant. In the afternoon, we'll enjoy a walking tour through the Colonial heart of Trinidad. Cited by UNESCO as a World Heritage Site, the town's historic buildings include the Palacio Brunet and the Palacio Cantero, built with wealth from the region's lucrative sugar trade. Our People-to-People activities this afternoon will introduce us to the life and works of Yudit Vidal Faife, a local painter who has exhibited her works throughout Cuba and Europe. We'll also visit the gallery and workshop of Lazaro Niebla Castro, a wood carver of rare skill, vision, and passion. Trinidad's allure is to be experienced not just in the wealth of its city landmarks, which we explored yesterday, but also in its delightful setting against the Escambray Mountains. This morning, we'll journey into these mountain landscapes for a People-to-People experience at a coffee farm. We'll observe firsthand the traditional techniques behind the high quality of Cuban coffee and learn about the work and life of the farmers. Again, at lunch today, we'll have a chance to engage in casual conversation with the owner and staff of another privately-owned paladar. Before returning to ship, we'll also stop at a handicraft market where you can engage with the artisans and vendors as you browse and shop for gifts and souvenirs. We will tour Cienfuegos, a UNESCO World Heritage Site recognized for its architectural diversity, which we'll explore first in Punta Gorda. Driving along this thin slice of land that extends into the bay, we'll discover a fine collection of early 20th-century palaces - many built by wealthy Americans during the Batista regime. Back in the center of town, we'll enjoy a walking tour through the finely preserved Colonial district. Our first stop is at UNEAC, an organization of Cuban writers and artists. We'll meet with its director to learn how the center is helping its members to follow their talents and passions. UNEAC members even include school-age children, and we'll be treated to a performance by these young musicians. After lunch we will start our land safari and travel to Remedios. Upon checking into the hotel you will have free time until our sumptuous dinner in a local paladar. Remedios is recognized as the eighth oldest city in Cuba, but its real date of the foundation has been obscured over time, and it may be the second Spanish settlement on the island. Historians place the foundation date sometime between 1513 and 1524. It was declared a City by Isabella II of Spain when the Island was still a colony. The morning will begin with a visit to "Iglesia Mayor" of San Juan Bautista in Remedios. Then, we'll drive to the town of Camajuani, where we'll visit the Tabacuba tobacco factory, and meet some of the workers and see them roll cigars by hand. After leaving Camajuani, we'll continue to Caibarién, a small coastal town noted for its fishing fleet, fresh crabs, and sandy beaches. First, we'll visit the town's print shop, which still utilizes equipment from the late 19th and early 20th centuries. After an included lunch at a local paladar, En Familiar, we'll tour Museo de Agroindustria Azucarero, a local museum focusing on the histories of slave culture, the sugar industry, and the pre-diesel locomotives that once transported sugar cane to local factories. We'll return to Remedios, where we'll enjoy some time at leisure and have dinner on our own. Arrive in Miami. After breakfast on board, disembark for the airport for your flight homeward bound. Embracing the unexpected is part of the fun of travelling. Programs and schedules may change due to weather, tides, local circumstances and venue changes. A measure of flexibility is something all of us must bring to a voyage. 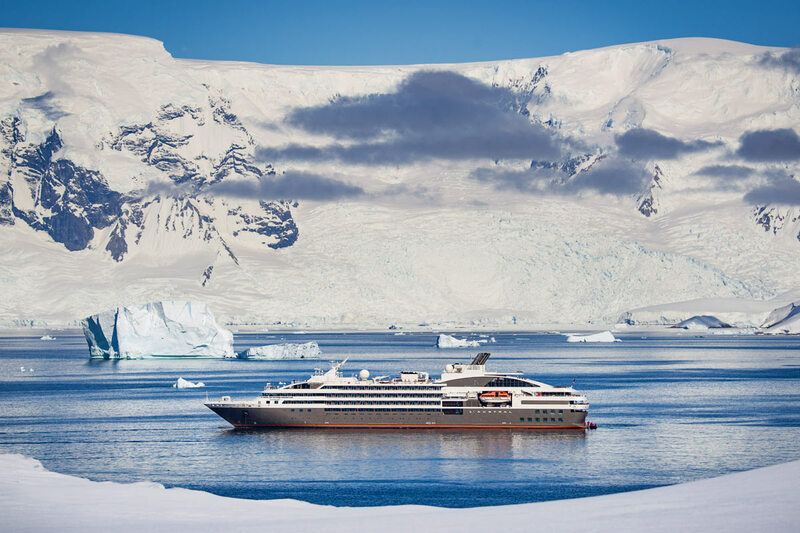 Vessel Type: Motor Ship/Small Ship Length: 286 ft, 87 m Passenger Capacity: 202 Built/Refurbished: 2001/2015 Refined, intimate ship experiences The indisputable joy of sailing is brought to life on the M/V Victory I and II, agile intimate ships that easily navigate canals and locks, tranquil bays, and hidden ports where larger ships dare not go. Onboard, our fresh, modern design tips its hat to our maritime past as spacious open-air lounges, inviting dining venues, and generous windows ensure you never miss a chance to savor the spectacular view. 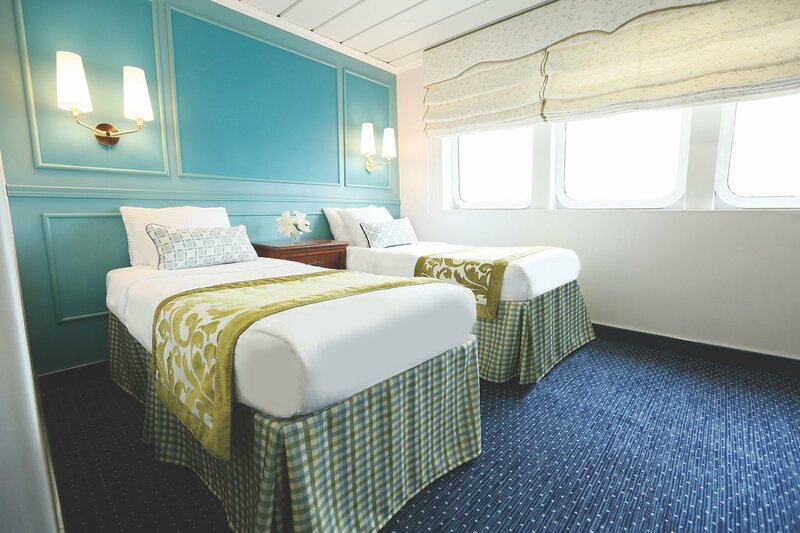 Intuitive and attentive service With a caring crew of 84, pampering no more than 202 guests, you’ll feel at home from the moment you step on board. 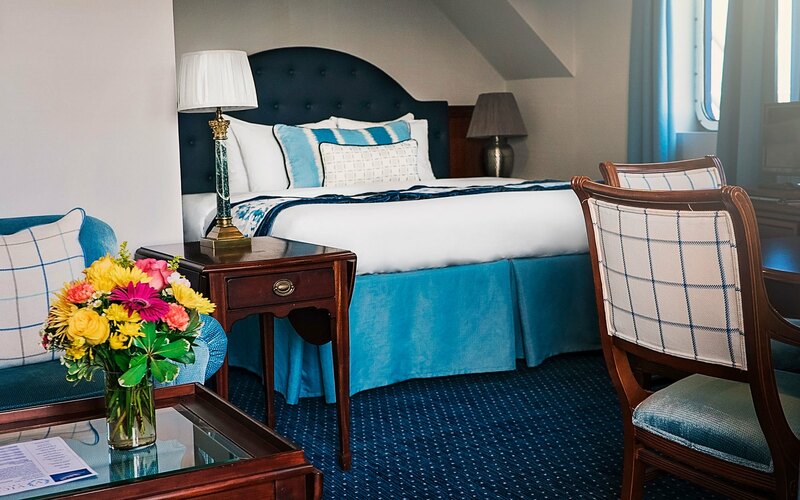 Whether it’s a favorite cocktail served on deck or the delicate chocolate on your pillow ensuring sweet dreams, our attentive, intuitive staff are available whenever you need them. Serving you is our pleasure. On-board experts and included excursions Aboard the M/V Victory I and II, you’ll often travel in the company of engaging specialists focusing on areas where our journey takes us. They share their expertise freely in presentations and impromptu discussions throughout the journey. In port, included shore excursions with knowledgeable local guides provide meaningful opportunities to uncover the rich history, unique wildlife, and fascinating cultures of the destinations you will visit. Onboard Amenities Complimentary coffee, tea, juice, soft drinks and filtered water - Free flowing house wine, beer, and spirits during entire cruise - Free Internet & WiFi available onboard - 100% Egyptian cotton bedding - Personal robes and slippers - Top of the line bath amenities that are environmentally sensitive - Premium mattresses - In-room electronic safe - Individual climate control - LCD flat screen television (satellite) - Alarm clock - Hair dryer - Telephone - Daily housekeeping with nightly turndown - Onboard Salon & Spa - Themed afternoon tea service Pamper Your Palate On Board And On Shore Beyond outstanding service and hospitality, every meal will bring about moments of sheer bliss. Each day, you will enjoy mouth-watering canapés as a prelude to casual and sophisticated cuisine in distinctive venues. The Seascape Tavern Share stories and laughter with friends and fellow travelers in the casual comfort of this cozy, English-style tavern. In the early evening, talented musicians bring the ship to life with all your favorite songs. Cliff Rock Bar & Grille Enjoy fresh air and fresh selections at the Cliff Rock Grille, where “hot rock” cooking is the special of the day, every day. Choose your ingredients and watch them cook to perfection on 100% pure volcanic lava rock. Serving buffet breakfast and lunch and seated dinner. Shearwater Dining Room Savor delicious cuisine in the easy elegance of the main dining room, where a professional wait staff serves breakfast, lunch, and dinner daily from our chef’s menu of regionally inspired dishes. 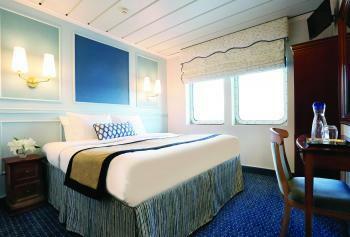 The Compass Lounge Log onto the ships WiFi and catch up on the latest news or send a few emails to friends back home. Attend an enriching presentation by an onboard specialist. Gather around the grand piano for an old fashioned sing-along. After dinner, music, and dancing keep the fun going into the evening hours. Observation Deck Lounge & Sun Deck Lounge on the aft deck on comfortable, cushioned outdoor sofas under the pergola… the perfect place to celebrate a successful shore excursion, gather for afternoon cocktails, amber sunsets or a little late-night stargazing. In the morning or afternoon, take advantage of the forward deck to greet the day with your morning coffee, relax with a book and soak up some rays on one of the outdoor lounge chairs. Latitude Salon & Spa Renew yourself with a relaxing massage or with one of our many beauty treatments during your stay. Latitude Salon and Spa features indulgent scented oil treatments and a beauty salon for manicures, pedicures and styling. • Discover Cienfuegos. Cuba’s Perla del Sur (Pearl of the South) has long seduced travelers from around the island with its elegance, enlightened French spirit and feisty Caribbean panache. If Cuba has a Paris, this is most definitely it. Arranged around the country’s most spectacular natural bay, Cienfuegos is a nautical city with an enviable waterside setting. Founded in 1819, it’s one of Cuba’s youngest settlements, but also one of its most architecturally interesting, a factor that earned it a UNESCO World Heritage Site listing in 2005. • Explore Trinidad. It is a meticulously well-preserved Spanish colonial city, with rich architecture, cobblestone streets, palaces and plazas. As a result, it is sometimes referred to as the “museum city of Cuba.” It was founded by the Spanish in 1514 and named for the Holy Trinity. It flourished in the late 18th and early 19th century, when sugar production in the Valley de los Ingenios (Valley of the Sugar Mills) was at its peak, with more than 11,000 slaves and 50 sugar mills in operation. • Enjoy Havana. This town is buzzing with an eclectic, sophisticated mix of museums, galleries, music, and dance. Frequent open-air festivals take full advantage of the island’s sunny Caribbean climate. Our first day in the city, we’ll visit Havana Vieja (Old Havana), a UNESCO World Heritage site, and the charming colonial squares of Plaza San Francisco, Plaza de Armas, Plaza de la Catedral (Cathedral Square) and Plaza de la Revolution (Revolution Square).